After a scary bought of sickness that swept almost half our team, CP, Billy, Adam and EmHo were slowly but surely making their way to recovery. 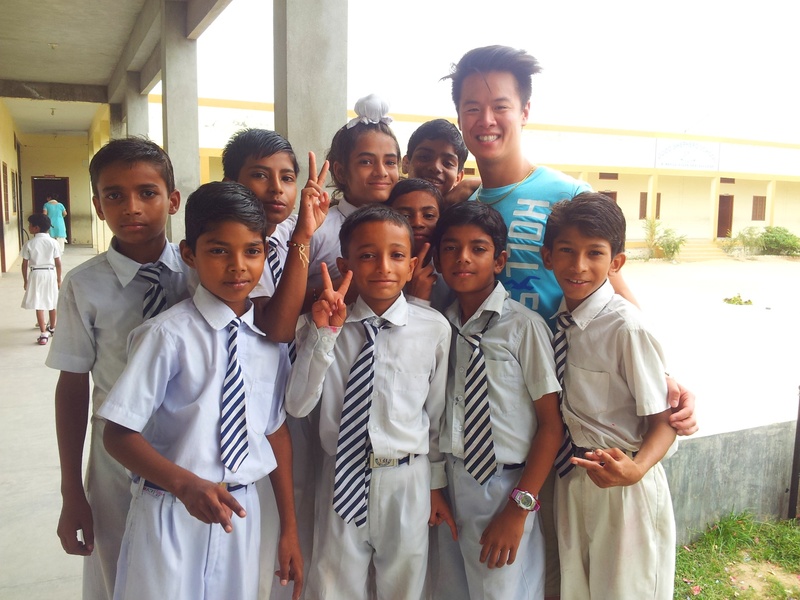 As the next few days passed, we continued to run our lesson plans from one class to the next. For the most part the kids were quite well behaved but coming from little means, I did see that some of the younger ones had a hard time with sharing. I’m not sure if this had anything to do with their socioeconomic situation or if this was just because they were children. One of the last days, during recess, I was manning the baseball station where kids would line up to pitch and another line of kids would bat. We brought a bunch of sports equipment to leave with the schools after we were done since it would take quite a while to get the funding to buy these “extras”. The system seemed simple enough but it was absolute chaos! Kids were budging in line and pushing their way into the front of the line. I ended up having to break up some squabbles and maintain order, not an easy feat when there is one of you and 30 of them! For some reason we thought it’d be funny to paint Sam’s face haha. 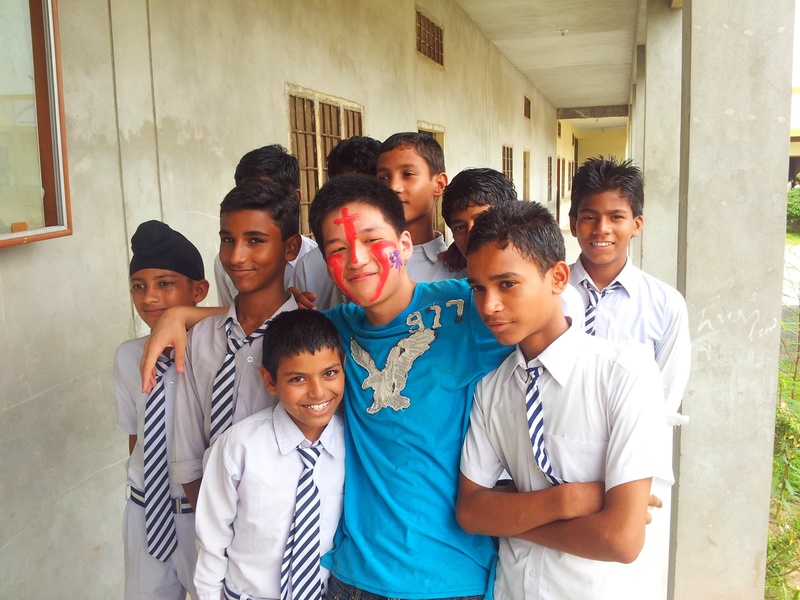 He spent the afternoon walking around disrupting classes like this! 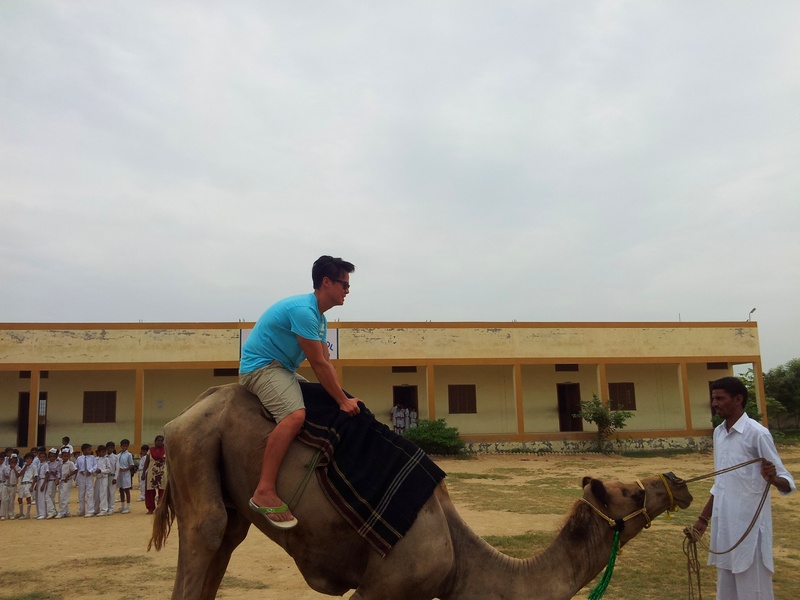 On the last day, the idea of riding camels was being passed around. Lo and behold, by the end of the school day, 2 camels had showed up, thanks to another host couple Sunny and N (real names withheld). I was ecstatic! 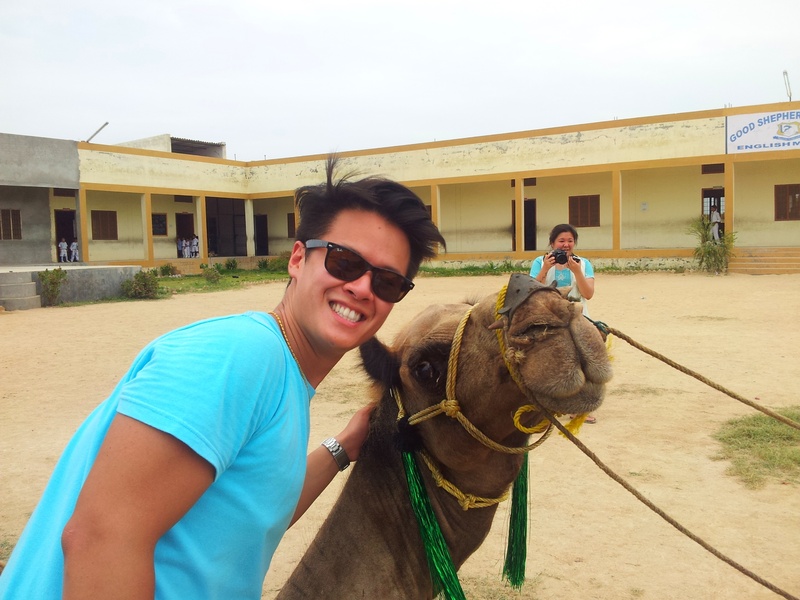 I’ve never ridden a camel before (they smell, but you get over it) and jumped at the opportunity. Not wanting to have them go to waste, the staff and some of the students took turns riding around the school grounds. That night, Sunny and N took us to a local market to do some shopping. Walking through the narrow, crowded market streets really gave me that old world feeling. This was nothing like I’ve experienced at home or in Asia. 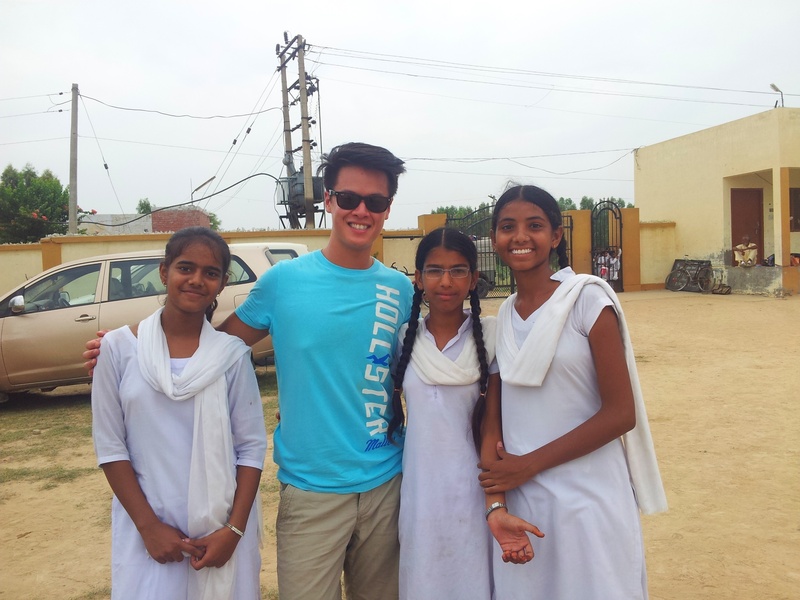 I bought some bangles for the people who supported me and the girls went to shop for saris. 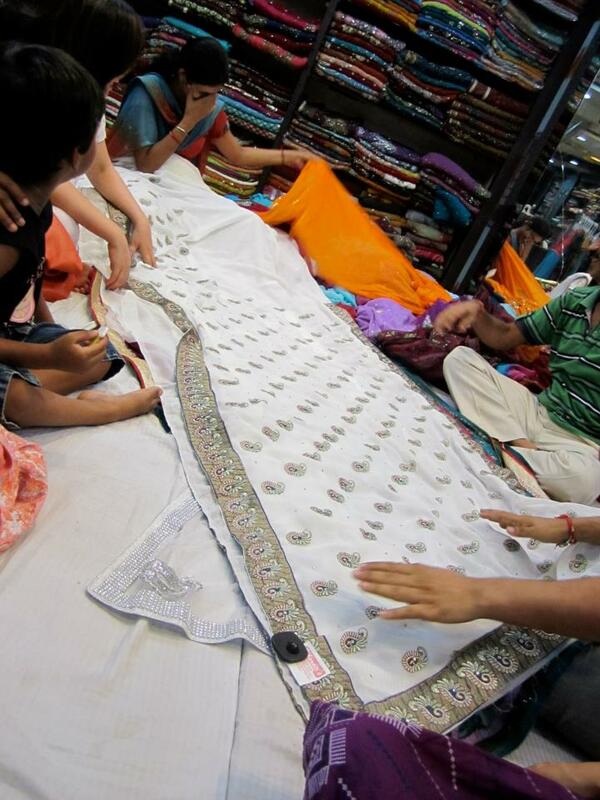 Ladies, the saris here are very affordable and look great. An elaborate one with jewels and sequins will run you $50-$75CAD, compared to $200-$300 back home. It also turns out that it was N’s birthday today. These hosts had treated us so well we couldn’t go without celebrating with them. We pooled together some money and got N a purple sari that she had tried on. It looked great and there was no way we weren’t going to get it for her! 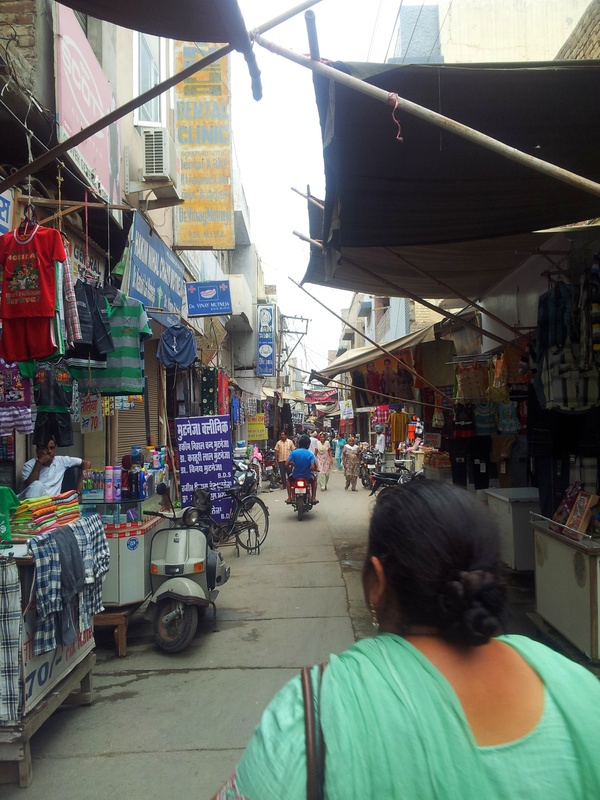 Shopping the crowded streets of one of the markets in Abohar. That night they brought over a home cooked meal (Sunny is quite the iron chef), which we ate in our hotel room, and we got a cake for N to celebrate her birthday. Good times all around! Among the conversations that night though, Sunny and N told us that they were in fact not from Punjab at all and moved when they were called to the Dalit ministry. The stark difference between Indian provinces was made ever more clear. When they first arrived, both had had recurring stomach problems, which apparently was common for people not native to Punjab. For Sunny, these symptoms persisted to some degree for 8 months. 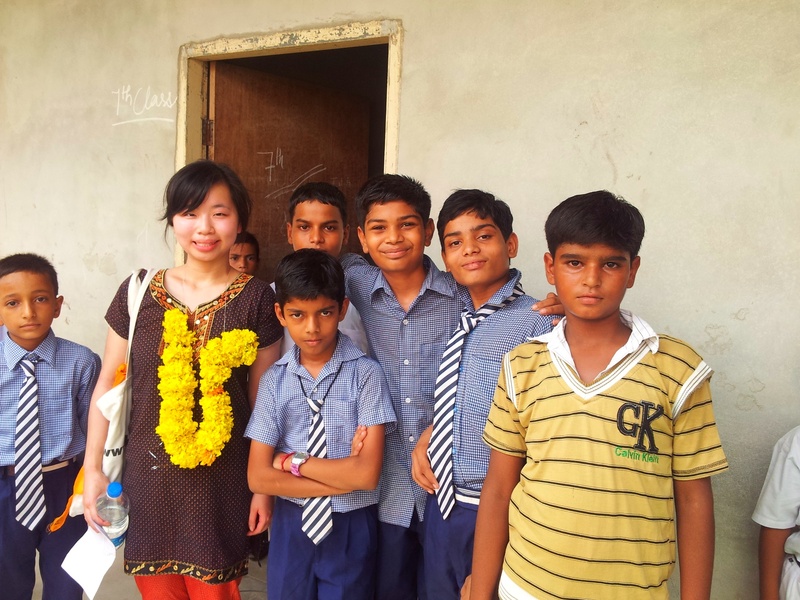 They had left their families to move to Punjab all to do the good work of God through education. It made me realize that faith to these people was a very real and tangible thing. They moved to Punjab on faith, away from family and support, trusting that God would take care of them. I had a new found respect and admiration for them and the other staff that made these huge sacrifices to teach and better the lives of the Dalits. The night ended with prayers of encouragement. Its hard to say where they are today but I’m hoping that they are well and healthy. I CAN, however, easily say that God is watching over them and that they are in no doubt making strides for Dalit freedom.